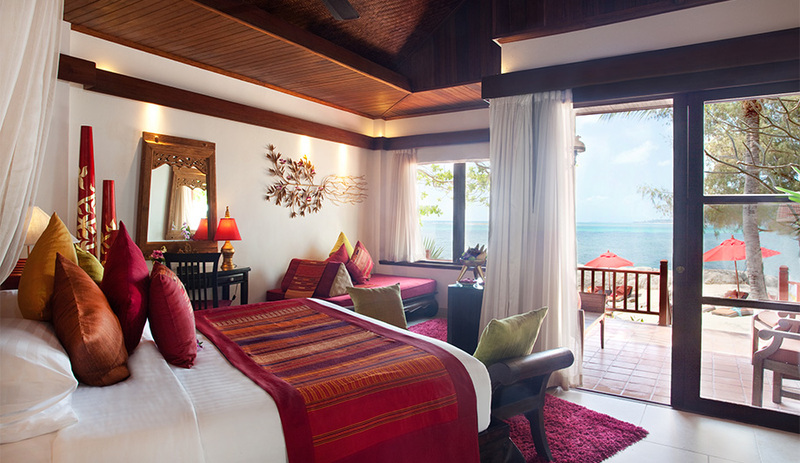 Rocky’s Boutique Resort, Koh Samui Accommodation Rocky’s Boutique Resort features 47 rooms and 3 private pool villas. 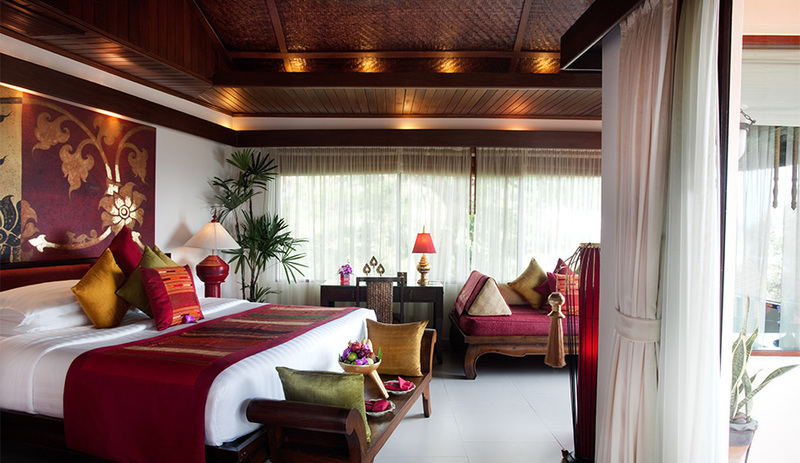 Our luxurious Samui accommodation types are unique and individually designed with all the modern comforts. Our accommodation will help you feel at home on your holiday. Our rooms are warm, spacious, and comfortable. 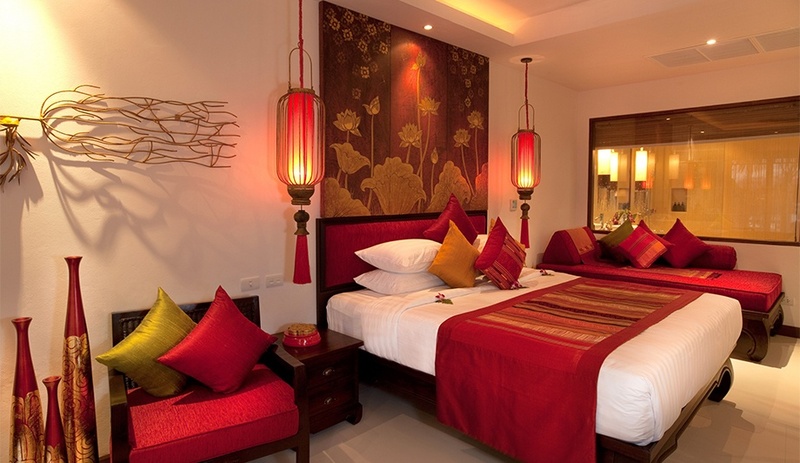 Each room is designed individually, with hand-chosen artwork and decorations. 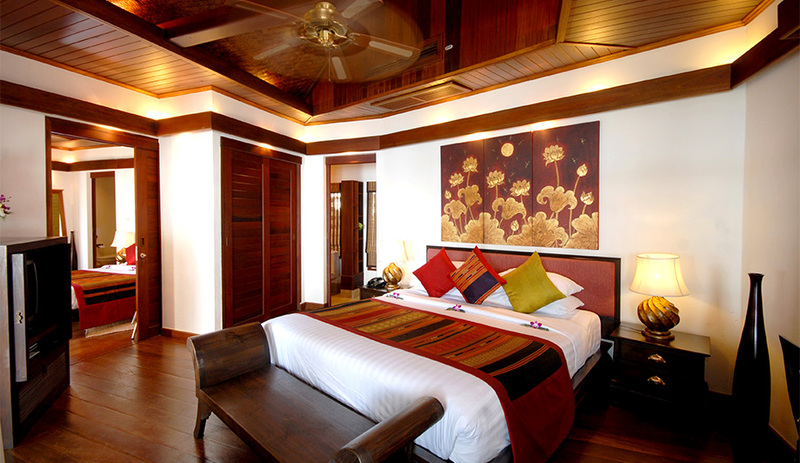 We have a wide range of accommodation in Samui available to suit your needs whilst on holiday. 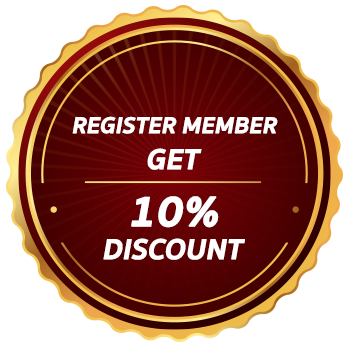 Click on the room types below to see the full details of each accommodation type. 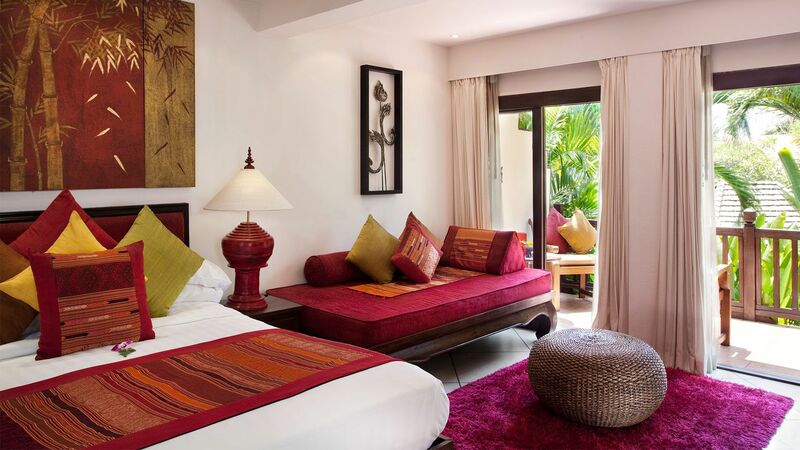 Charming rooms overlooking our lush tropical gardens. 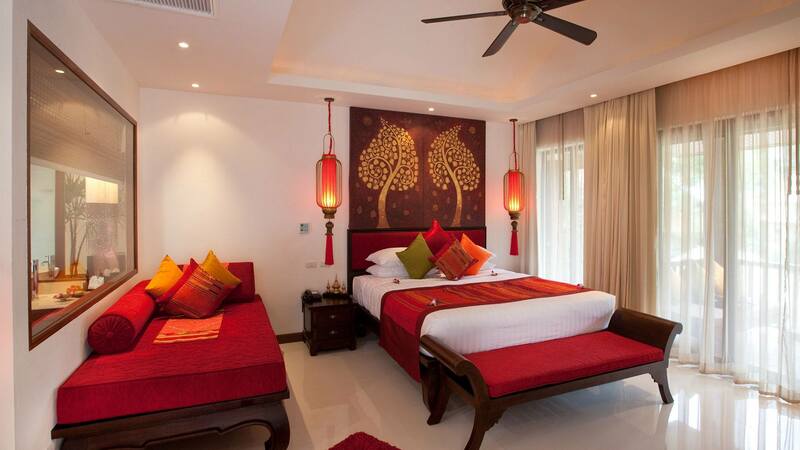 These rooms have access to all resort facilities and are only 30 m to the beach. Overlooking our beautiful Garden Pool. Perfect for couples or small families, these new rooms are spacious and inviting. Private and yet easily accessible to the resort facilities. 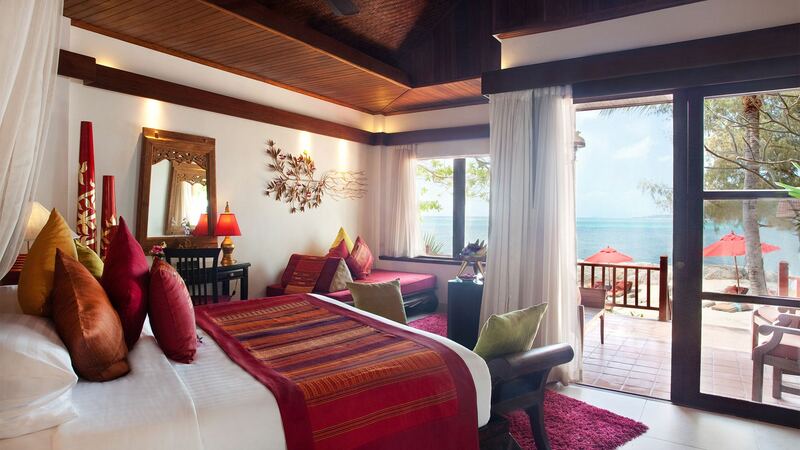 Beautiful Jr. Suites with a Sea View. Our Jr. Suite Oceanview rooms overlook our gardens with views to the sea. 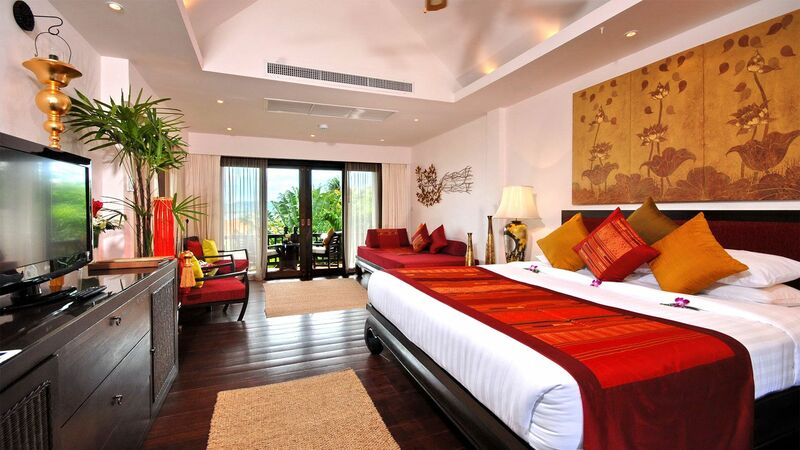 Beautifully designed Jr. Suite rooms directly on the beachfront. 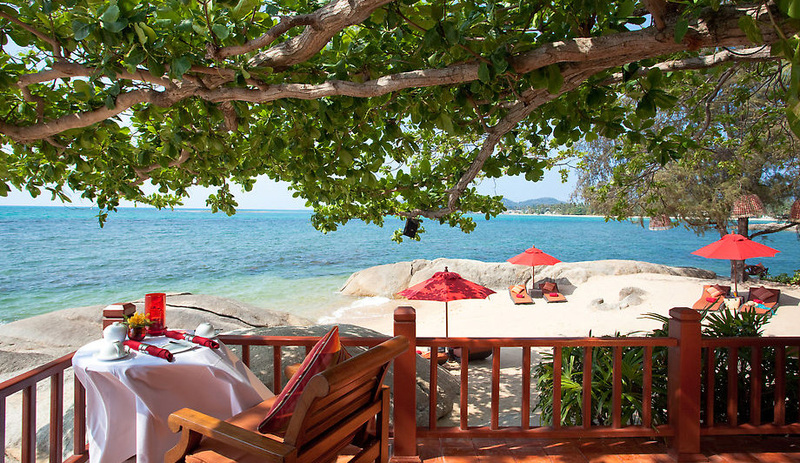 Only 4-5 m between you and the waves, our Jr. Suite Beachfronts are perfect for a romantic getaway. Our Premiere Suite for Couples. Situated on the beachfront on the point between two beaches,this is our most luxurious room for the honeymoon of a lifetime.